Vehicle breakdowns can inconvenience any anyone – from weak batteries to flat tires. 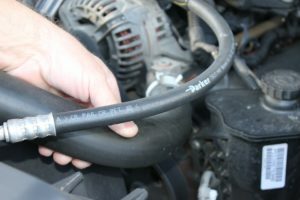 Freezing winter temperatures and scorching summer heat more readily wear out batteries, belts, hoses and tires. Such emergencies can cause extra stress both emotionally and in preventable expenses. Unfortunately, AAA expected to rescue 7 million U.S. motorists, according to its 2017 survey. The company’s survey shows 40 percent of American drivers do not adequately prepare for road emergencies. AAA’s survey also indicates about 75 percent of families plan car trips for vacations. Three main reasons AAA members call for help: Dead batteries, flat tires and vehicle lockouts. Many late-model cars have issues because of low-profile tires or the elimination of spare tires altogether. Other problems require another 3 million members to have their vehicles towed to a repair shop. But AAA’s survey shows 66 percent of drivers have never had their batteries tested. Twenty percent don’t know how to change a tire. Forty percent don’t have emergency roadside kits. Get a checkup and any needed maintenance before any trips. For minimum precautions, you can minimize risks with battery tests, fluid-level checks, and oil changes. When you leave your vehicle, always take your keys. Always have a spare key with you. Don’t allow water to touch your keyless-entry remote or smart key. Replace the key or fob battery when recommended by your vehicle manufacturer. You’ll avoid an expensive ticket and you’ll be safer while driving if you don’t text, talk on your cellphone, and avoid long glances at objects in your car or off the road. Even eating food or drinking liquids while driving will get you a ticket in some states. All states have a move-over law when emergency or law-enforcement vehicles are on the side of the road. Slow down and change lanes if possible. If you encounter an emergency, turn on your emergency flashers and safely steer your vehicle off the road – to the right, if at all possible. Exit your car on the side away from traffic. When everyone is in a safe situation, fix what you can or request roadside assistance from a provider. Some car manufacturers and other insurance companies also provide assistance. In addition, I’d add this reminder: Always keep your gas tank half full. For instance, unless you use your cellphone traffic apps, you’ll not always be able to anticipate when you’ll be stuck in traffic congestion. Finally, if you have AAA, download the free mobile app for Android, Apple Watch, iPad or iPhone. You’ll be able to track the the location of the assigned emergency-service vehicle in real time. Aside from emergency assistance, the app also will help you book a hotel room, find the most-inexpensive gas prices, route a trip, or access other member discounts. 16 Gas-Saving Tips for your Personal or Business Driving — If you want to cut costs, you might want to start with fuel. Finance Your Vacation with Credit Card Travel Reward Points — If you plan well, you can finance most of your family’s vacation with travel reward points. The trick is to learn all the ways you can earn points. This entails far more than just buying airline tickets or reserving a hotel room. 13 Great Business Travel Tips — Jet lag, bad hotel beds, and lost luggage – just a few of the miseries of business travel. But travel is vital to manage operations, close sales and to build relationships. Winter Security Tips for Your Transport Facility and Drivers — Criminals don’t hibernate like bears in the winter. Winter presents opportunities for criminals’ unscrupulous desires. To protect your products in the warehouse or distribution facilities and drivers on the road in snowy months, there are several important precautions to implement.